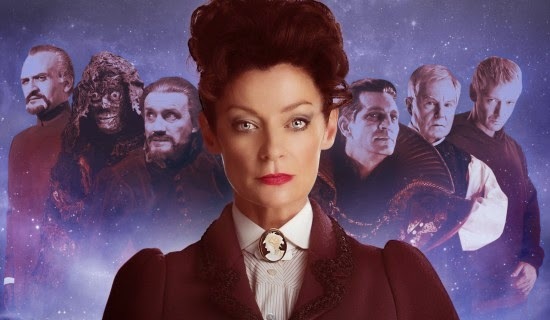 Missy to return in DOCTOR WHO Series 9 | Warped Factor - Words in the Key of Geek. 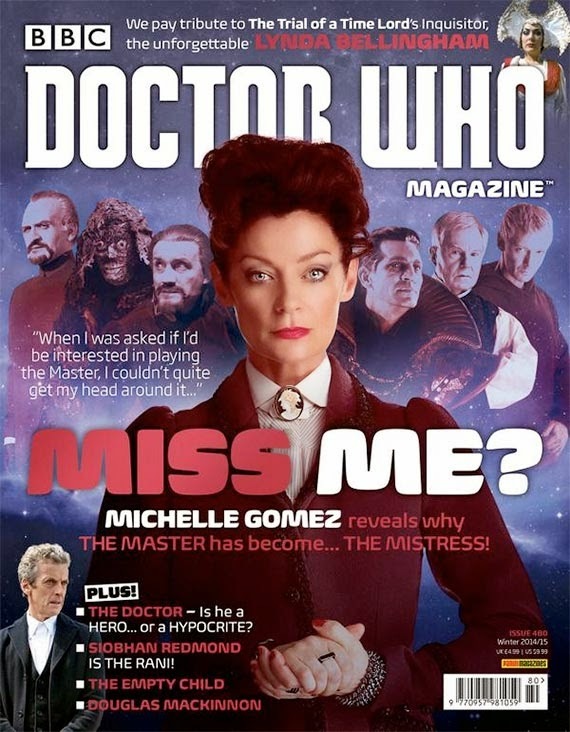 The latest issue of Doctor Who Magazine contains an interview with Michelle Gomez where she talks about her time as Missy/The Master. Now I think we're all pretty much gathered that, despite what was seen on screen during Death In Heaven, the Master would eventually find a way to return to trouble the Doctor once again, but possibly we hadn't thought it would be quite so soon. "Yes. 'Yes' is my answer. I’ll be back. Can I say that? Am I allowed? If not… well, I guess we’ll have to see how she’s received…"
You can read the full interview in Doctor Who Magazine issue #480, which is on sale now. Gomez also revealed that a fake version of her 'reveal' scene was filmed, just in case the public overheard. In that one she told the Doctor that she was a different Time Lord. "You know who I am. I’m Missy. Or, if you’d prefer, Random Access Neural Integrator. Rani for short." Were you happy with Missy turning out to be the Master? Or would you have preferred they went with this alternative reveal?